Item # 316021 Stash Points: 9,795 (?) This is the number of points you get in The Zumiez Stash for purchasing this item. Stash points are redeemable for exclusive rewards only available to Zumiez Stash members. To redeem your points check out the rewards catalog on thestash.zumiez.com. 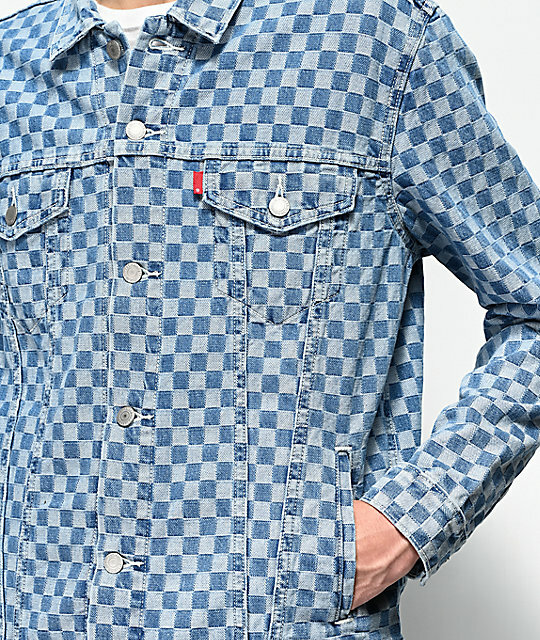 Top off your slick, streetwear style in the Trucker Checkerboard Denim Jacket from Levi's. 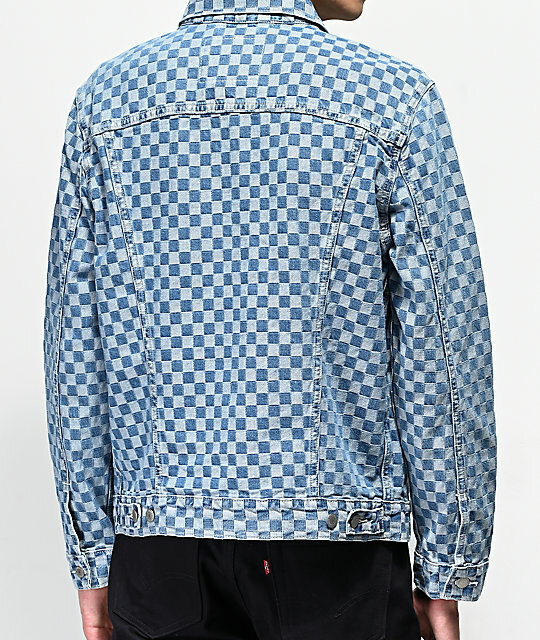 This denim jacket comes in a unique checkered denim construction with light and dark blue denim checks throughout. With a traditional Trucker jacket silhouette, this jacket features a traditional foldover collar, two chest pockets with button-flap closure, and two slash hand pockets. 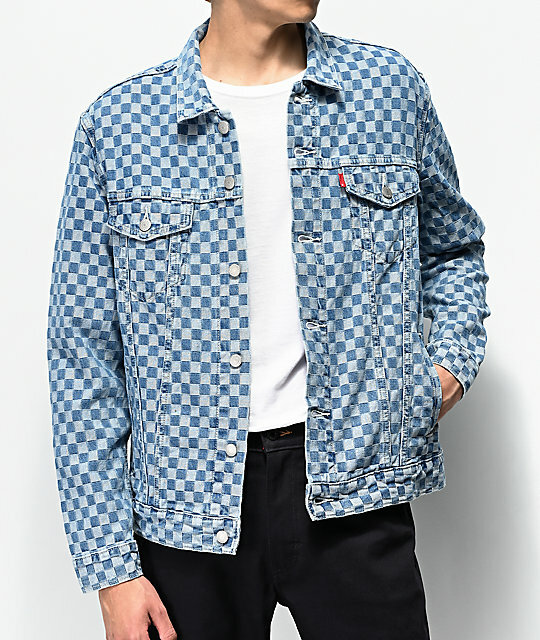 The design is complete with a relaxed fit, perfect for layering over your favorite hoodie or tee, creating another must-have additions to your Levi's collection. 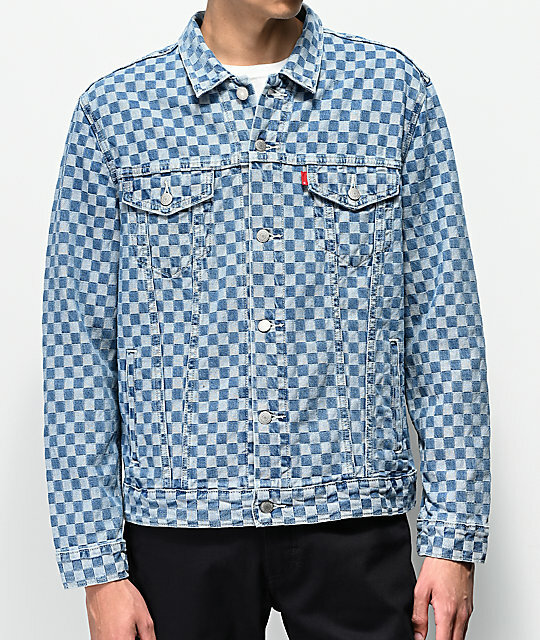 Trucker Checkerboard Denim Jacket from Levi's. 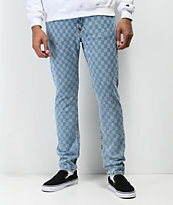 Light blue denim with dark blue checkered pattern throughout. Button closures at sleeve cuffs. Levi's hardware and branding throughout. 27" (69 cm) from top shoulder seam to bottom hem.